​Logistic (s-shaped) - begins to occur when population gets too high and it is approaching the carrying capacity of the ecosystem. In a'perfect' world... When there are plenty of resources to go around, populations tend to exhibit an exponential growth curve. 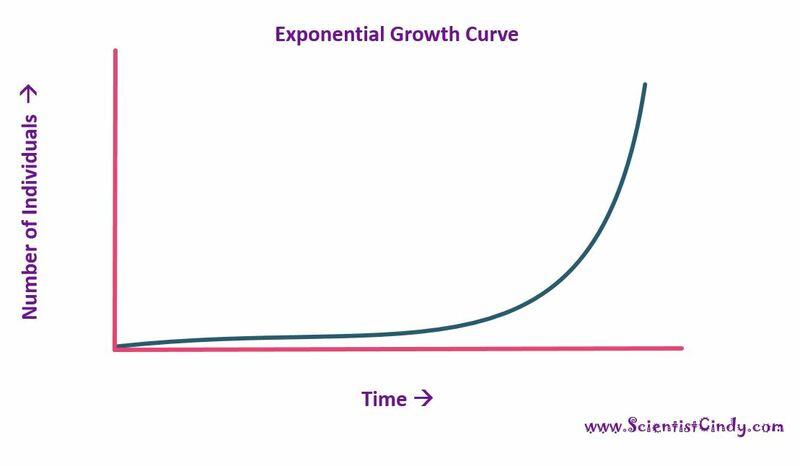 In the exponential growth model, a population will grow exponentially as the adults reproduce as often as they have the opportunity to. In other words, they live up to their "reproductive capacity". Reproductive capacity is defined as a measure of the capacity of a species to reproduce itself under ideal conditions. However, most populations, including humans, do not live in a perfect world. Limitations of resources and less than ideal living conditions place environmental pressures that act against exponential population growth. There is a limit to how many organisms of a species a particular environment can sustain. This limitation is called the "carrying capacity" ​ of the environment. When a species is first introduced to an environment that has plenty of resources, that species will exhibit exponential growth. However, as time continues and the population of that species increases, the resources provided by the environment may not be enough to "go around". When the there are not enough resources to provide for all of the individuals of a population, individuals will need to compete for resources. Over-population has other negative effects as well. The spread of illness and disease, an decrease in overall fitness which leads to an increase in predation and a decrease in fertility and/or mating, will all take their toll on the size of the population. As the population size approaches the carrying capacity of the environment, the negative pressures of over-population begin to take over and the growth of the population decreases. 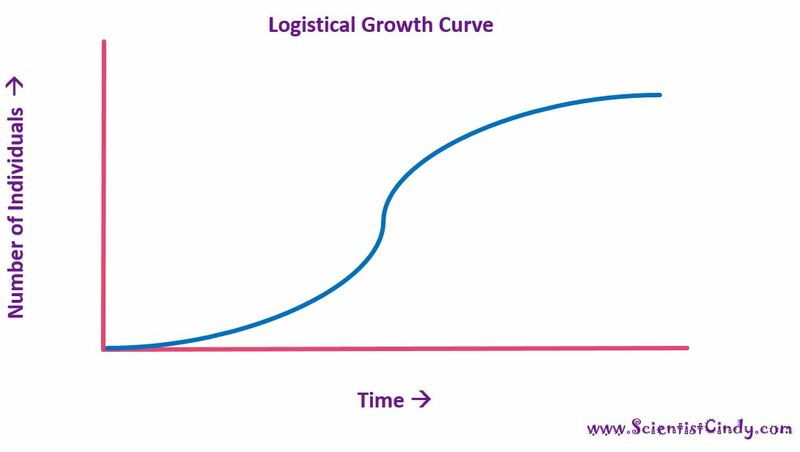 •After some time, this will change to a logistic growth model. WHY? This is because as the population increases, there is competition for resources. The population approaches the carrying capacity of the ecosystem. • The carrying capacity is the limit of the individuals of a certain species that a particular ecosystem can support.